NU's Ben-Ari wants rabbis to have immunity from prosecution regarding actions and pronouncements that are part of their leadership duties. National Union Knesset Member Michael Ben-Ari is proposing a bill that would give rabbis who work for the state immunity from prosecution regarding actions and pronouncements that are part of their leadership duties, or over pronouncements of Jewish law (Halacha). The bill would grant the rabbis immunity similar to that of Knesset members, as far as their freedom of speech is concerned. The bill is a response to the public debate around a decree signed by an estimated 300 rabbis, calling upon citizens not to sell or rent out homes to Arabs. The bill was originally drafted by former MK Shmuel Halpert of Agudat Yisrael. The explanatory notes to the bill note that since Israel's laws grant immunity to “negative elements” like Arab MKs Ahmed Tibi and Hanin Zouabi – who openly side with Israel's foes – it is only proper to give immunity to Israel's chief rabbis and to the rabbis of cities, towns and neighborhoods. 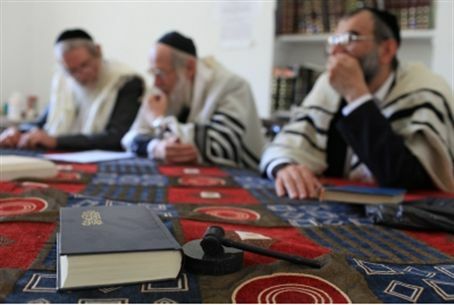 Rabbis must not be made to refrain from publishing Halachic rulings – or to twist the true meaning of Jewish law – because they fear the Prosecution, the notes explain.